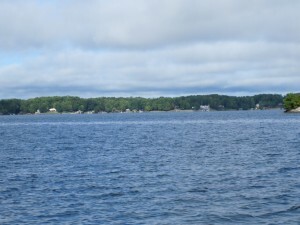 Smith Mountain Lake; it was gorgeous the day after the race! 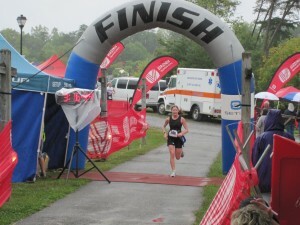 The Big Lick Triathlon in Smith Mountain Lake, Virginia, was my first Olympic triathlon. I learned about the race from my sister-in-law and her husband who have done the race before and we had a full crew of six of us ready for race day. We also had a full crew of family ready to cheer for us and we all arrived to Virginia in time for the Friday night packet pick-up and a hearty dinner at a local restaurant. Before I get into the event play-by-play, I must share an embarrassing side note only for the purpose of sharing my mistake so that hopefully no one else will make it. The event emails clearly stated all the requirements for race day as well as packet pick-up and one of the requirements is essentially universal: no ID, no race packet. For a number of reasons, none of which are good or excusable, I managed to leave my home in Maryland without my ID. Thanks to technology I was able to have friends get into my house, take a picture of my ID which they sent to my phone, and that image (plus having my husband and mother on hand) allowed me to pick up my packet. So just remember, no ID, no packet, no race! 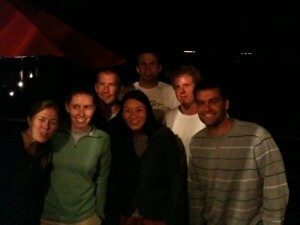 Our race group of family and friends (phone photos aren't always the best). For weeks we’d been watching the forecast for race day, September 26, and for weeks there were predictions of low temperatures and rain. Low and behold, the weatherman was right. Saturday morning it was a chilly 57 degrees and the day started with a light mist which turned into a light sprinkle, then a light rain, and a downpour later in the day. Despite having known the forecast and despite the fact that it came true, I was amped upon waking on race day. No low temperature and no amount of rain was going to change my excitement and I think it just goes to show that there is a lot to be said for mental preparation. In my head I had gone through all the motions of the race and I was ready to do those things for real, rain or shine. 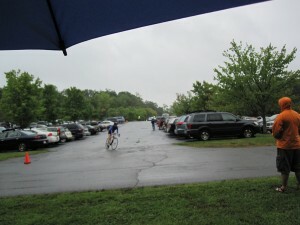 I’d like to give credit to the Virginia Triathlon Series organizers who put on the Big Lick Triathlon. The entire event was extremely well organized and there were a couple details that stood out to me. Somehow they managed to assign race numbers so that we were in alphabetical order. The “A’s” were in the low numbers and so on. While I’m sure this was logistically challenging it seemed to make sense to me. They also labeled the bike racks by number sections which made for a very organized transition area. Even so, I had my balloon (thanks mom!) tied to the rack which still proved to be helpful in getting to the right rack quicker. There was a 9 a.m. start for the first swim wave and after the race meeting everyone was grouped on the cold sand, swim caps on, waiting for our waves to be called. The beach start was ideal and we could wade in to about chest deep to start. I had signed up as a novice swimmer which meant I was in the fifth wave. I learned during the Cazenovia Tri that starting in the back of the pack wasn’t always the best move. This time I moved up so that I was in the second row of people just to the left of the first mark. We were going to be doing a large triangle swim and my plan was to go out slow and steady and keep it that way. I heard mixed reports of the water temperature, it was either 72 or 76 degrees, and either way I chose to go sans wetsuit and ended up being very happy with that decision. The water temperature was perfect. I was able to get into a clean lane of water pretty early on and focused on not kicking too much and keeping a comfortable pace. I was so comfortable on the swim that I was able to take four strokes and then a breath quite often which gave me confidence that my training was paying off. About two-thirds of the way through th e swim I started thinking about the bike and how that is not my strongest leg. I thought if I could improve my swim I might make up for some time if I was slow on the bike. I didn’t want to wear out my legs though so just tried to pull harder with my arms. Turns out by the end of the swim I was full of energy, finished strong, and wished I would’ve swam harder earlier. 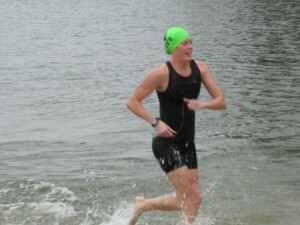 I came out of the water smiling and sprinted up to the transition area. I had been planning that for the bike I would somehow pull on my Brooks pullover top so that I wouldn’t get cold on the ride. By the time I got the shirt over my wet top I knew I’d lost a good amount of time. I learned at the Caz Tri that it was important to start in a low enough gear for whatever hill would be at the start of the bike so I was in good shape at the bike start. The bike course had been described as challenging, rolling hills and we had been training on as many hilly rides as can be found in Annapolis. While the course was definitely rolling hills, my husband and I both agreed that the hills on the Cazenovia course were much tougher. For about the first six miles I was with a nice small pack of riders and then we started to spread out. I was with one other rider for a good chunk of the bike and it was as though we were taking turns passing each other. The bike course was only marked at the 10, 15, and 20 mile marks so I didn’t have a great sense of how far along we were. By the time we got to 15 miles I was starting to feel the familiar uncomfortableness of my San Marco bike seat, but at the same time I was also still loving the race and thinking how awesome it would be to do a half ironman. Because the rain was only light during the bike the roads weren’t quite as slippery as they could’ve been, but I still took the turns carefully. Every now and then I’d shake my head to get the rain out of my helmet but other than that I was not really aware of being rained on. I’d always wondered what it would be like to ride in the rain and I now know it’s doable. I do wish I’d had glasses however with clear lenses just to keep my eyes dry but the ride was manageable. The bike course took us out on some amazing country roads and then turned back into the main park where the race was. By the time the park entrance was in sight I was ready for the run. I hoped my bike to run transition would go faster than T1 and since all I had to do was change shoes I was able to get in and out a bit faster. For this run I had swapped my original shoelaces out with some elastic stretch laces to eliminate the need to tie laces with adrenalin shaking hands. I had done a short jog in them the night before to make sure I was comfortable with the tightness of the elastic laces and I really think they were a godsend for improving the bike to run transition. Toward the end of the bike I had gotten my heart rate up quite a bit and was not cold at all so I assumed that on the run I would just get warmer and I was debating what to do with my long-sleeve shirt. I decided to keep it on until I was under way with the run knowing I could get it off while jogging and not lose more time in transition. The first three miles were very comfortable. I was able to start out at an easy pace instead of rushing off the bike and I think that helped me get into a groove sooner than I had at Cazenovia. I had a Hammer Gel in my pocket that I planned to take around mile 4 which was just before several of the uphills on the course. Although I didn’t even drink half of my water bottle on the ride, I wasn’t thirsty and decided not to bother with the water stops on the run but I was glad to have the gel. The rain picked up on the run and somehow that just made me happier. I was so thoroughly entertained to be running in a gorgeous park with hundreds of other people that I couldn’t help but be happy. And passing my sister- and brother-in-law on the course (they were ahead of me) had me cheering while running. I was trying to clock my pace as best I could and I was sure I was making 9 minute miles. My goal for finishing the tri was three hours or less and by the time I got to the last mile the quick glance at my watch showed that if I could run my 9-minute pace I would meet my goal. I picked it up a bit, extending my strides and kept my breathing steady–it felt like the longest damn mile ever! As I rounded the corner to the finish line I sprinted hard to the end and when I stopped my watch it read 3:00:46; my official time was 3:00:45. 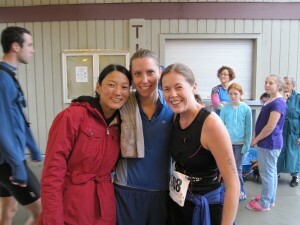 Post-race with my rockstar sister-in-law and awesome friend who finished long before me! Needless to say, those were the most frustrating 45 seconds I have ever experienced. I finished hard, but not full out. I had more energy and I could have run a little harder a little earlier. By all means I am not disappointed–I am thrilled to have completed the Olympic triathlon distance and I really enjoyed the Big Lick event. I will definitely be doing it again and look forward to significant time improvements and new goals. Oh–and that crazy thought I had on the bike about doing a half ironman? The thought festered long enough that I signed up for one! I am registered for the Providence, Rhode Island 70.3 in July 2010! This entry was posted in Articles and tagged biking, olympic tri, Running, swimming, Training, Triathlon, Virginia on October 6, 2009 by Natalie. nice blog! and great meeting you that weekend. The race was a blast, as was the post race festivites. Hope to get to see you guys again sometime. oh, and hells yeah on the 1/2 ironman! good luck with your training…you’ll have a blast. Thanks Seth! Glad you found the blog. 🙂 It was definitely great to meet you. Any 1/2 ironman advice you have is more than welcome! “Official” training begins in February so I figure I have this winter to train for training. Good luck with whatever your next race is! 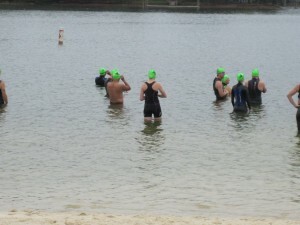 Hey I just found your blog because I am thinking about registering for this tri this year since my first oly distance’s tri swim was canceled last weekend. It sounds like it was a really good race, besides all the rain. Sarah, definitely do this race! It is low key but with a nicely competitive field, beautiful course and well run. Checked out your blog as well and you have quite the race schedule this year! Good luck with your 70.3 next year!